Imagine School at Evening Rose in Tallahassee, FL receives national recognition for use of character development in driving academic achievement, student behavior, and school culture. As a National School of Character, Imagine Evening Rose is recognized as a school that has demonstrated its implementation of character development to drive a positive impact on academics, student behavior, and school climate. May 15, 2015 – (ARLINGTON, VA). – Imagine Schools is pleased to announce Character.org, a national advocate and leader for the character education movement, named Imagine School at Evening Rose a 2015 National School of Character (NSOC). The NSOC program recognizes the campus as a school that has demonstrated its implementation of character development to drive a positive impact on academics, student behavior, and school climate. 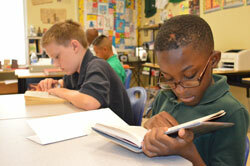 For Imagine Schools, this recognition builds on its designation as a National District of Character by Character.org. It underscores the charter school network’s continuing emphasis on positive character development and the impact it has on academic outcomes. The National Schools of Character program is not a competition—but rather an opportunity to go through a rigorous process of feedback and coaching, as well as recognition for growth and excellence in the area of character development through Character.org’s 11 Principles of Effective Character Education framework. Imagine Evening Rose will hold its designation for five years. Character.org will honor the campus at its 22nd National Forum on Character Education to be held the weekend of October 15-17, 2015, in Atlanta, GA. Visit www.character.org to learn more about the National Forum, the NSOC program and the 2015 national finalists. 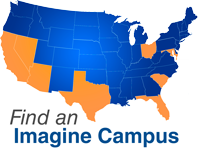 Imagine Evening Rose serves K-6 students and is located at 3611 Austin Davis Avenue, Tallahassee, FL. Learn more at www.myiser.com.